Vivanco Aircoustic Studio Monitors review | What Hi-Fi? 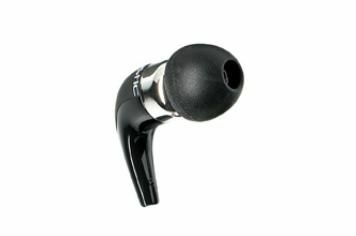 You've got to be a little careful using a term like ‘Studio Monitors' as part of the name for a pair of in-ears, but it's indicative of how seriously the latest Aircoustic ‘phones want to be taken. The understated, premium styling and build helps get the point across, as does the punchy delivery. Drums snap precisely, basslines are as tight as tight can be, and vocals are brilliantly detailed, but there's also a hard and shouty quality to the delivery, particularly at the top end when stretched by busy, high-tempo sections of track. They're capable, but to be approached with caution.